"Don't know what we would do without it. A great way to share files with contractors, architects and engineers also"
• UPDATE V2.1 NOW LIVE! Featuring new improvements including our new inspection and report tools. With a new cleaner look, browse your project files all from one location, and manage your reports or embedded information easier than ever. 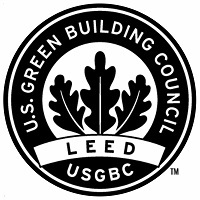 Happy Earth Day from Building Files Helping Build Your Sustainable Future! Building Files will be at the annual Northeast Buildings & Facilities Management Show & Conference on June 9th. We will be one of the speakers for the educational portion of the conference. Building Files is your solution for Building Information Management (BIM) offering easy to use, cost effective technologies for complete project management. We have the knowledge and expertise to ensure all of your projects are organized and easily accessible from anywhere. Our innovative systems are used by many professionals from the concept design process through construction and into facility management. Utilizing our 30 years of construction, engineering, facility management and building documentation experience we have developed a unique platform that delivers tools and services customised to meet your needs. Building Files provides clients with an independent third-party solution that gives them the simplest, most accurate building documentation available in the construction industry today. Our digital file conversion, photo documentation, Document embedding, video documentation, inspection and reporting services are invaluable for combating a wide variety of construction issues. Our advanced on-line interface, certified services, and do-it-yourself tools gives you remote access to monitor and review actual job site conditions while managing your team efficiently through your PC or mobile device. Building Files develops innovative technologies specializing in building information management. Providing sustainable solutions for document and project management through a high quality, cost effective, easy to use interactive platform. Learn how Building Files can help you maintain accountability, increase quality and reduce costs to help ensure the delivery of the most successful projects every time. Contact Us to find out more.